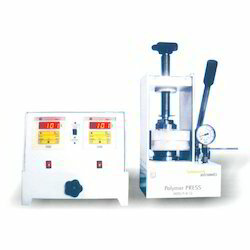 Offering you a complete choice of products which include polymer film making equipment (manual) pf-m-15. Being a quality centric organization, we are offering our clients Manual Polymer Film Making Equipment. This product is developed from superior grade components as per the set industry standards under the direction of experts. The offered product is accessible in different specifications to meet the requirements of customers. As well, our valued customers can avail this product from us at reasonable rates in a given time period.